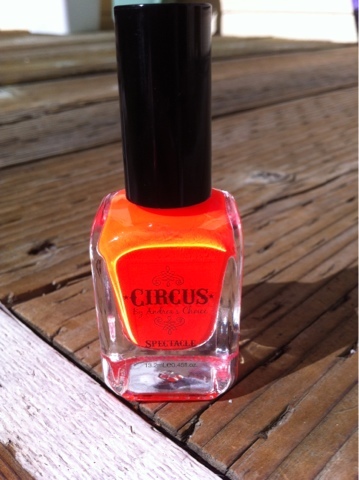 Circus By Andrea's Choice in "Spectacle"
This is a fun bright orange color that I thought would be festive to wear during the month of October. 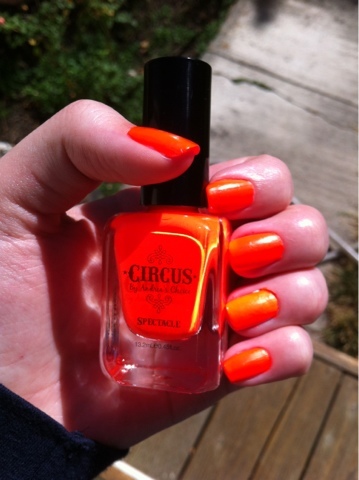 The orange is VERY bright. 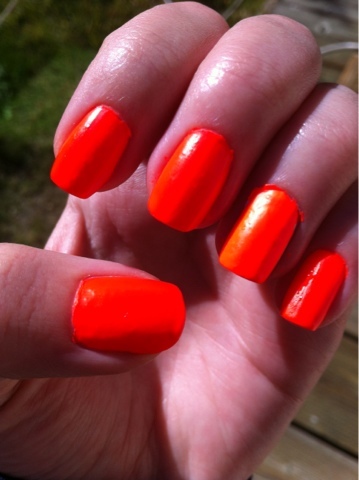 Adding a white base coat (like I did on my ring finger) will make the color even brighter! 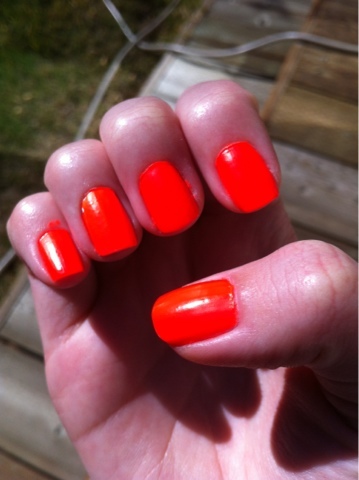 I am not a fan of the matte nail polishes. Mostly because they are not as nice looking when the color dries. 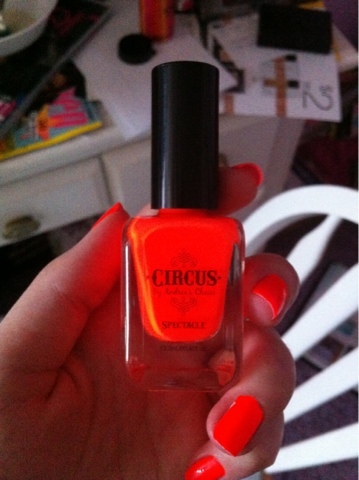 I won't be wearing this nail polish for too long, but it was fun to try out.